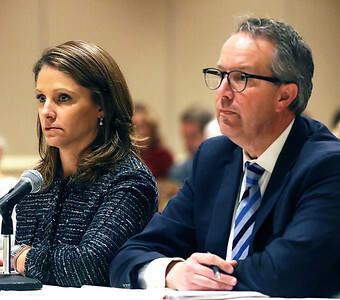 H. Rick Bamman - hbamman@shawmedia.com Centegra Health System's Senior Vice President of strategy and development Hadley Streng (left) and Aaron Shepley, General Counsel for Centegra Health System appeared before the Illinois Health Facilities and Services Review Board on Tuesday, Nov.14 in Bolingbrook. 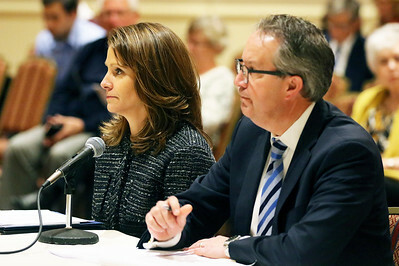 The review board approved the changes involving Centegra's Woodstock and Huntley facilities. H. Rick Bamman - hbamman@shawmedia.com Woodstock resident Paul Lockwood (from left) Mayor Brian Sager listen as Fire/Rescue District Chief Michael Hill reads a statement before the Illinois Health Facilities and Services Review Board members Tuesday, Nov.14 in Bolingbrook. The review board approved the changes involving the Woodstock and Huntley facilities. 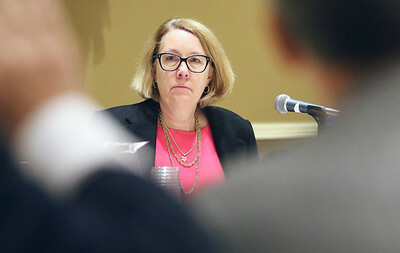 H. Rick Bamman - hbamman@shawmedia.com Illinois Health Facilities and Services Review Board chairman Kathy Olson listens to comments Tuesday, Nov.14 in Bolingbrook during a hearing for Centegra Health System facility changes for hospitals in McHenry and Woodstock. 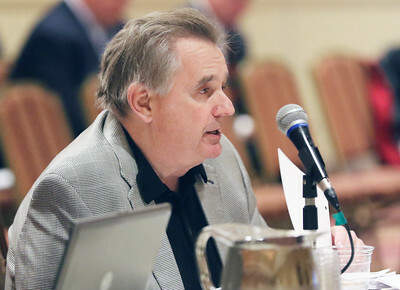 H. Rick Bamman - hbamman@shawmedia.com Illinois Health Facilities and Services Review Board member Mike Constantino addresses the chairman Tuesday, Nov.14 in Bolingbrook during a hearing for Centegra Health System facility changes for hospitals in McHenry and Woodstock. 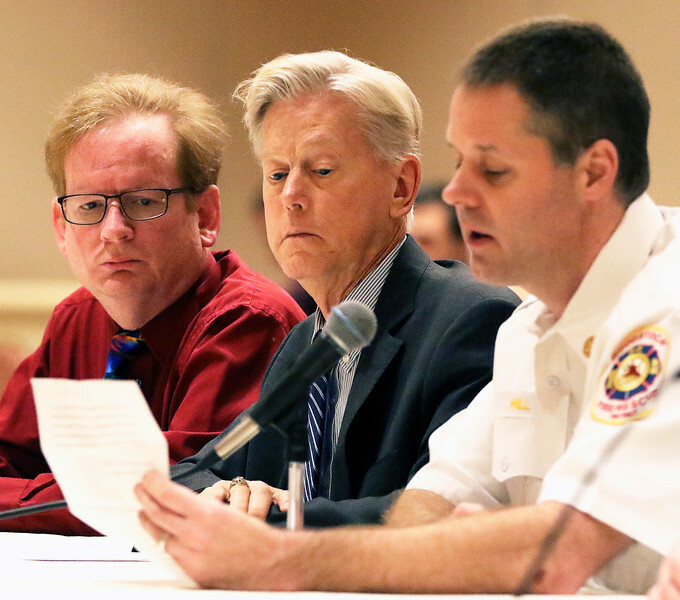 Woodstock resident Paul Lockwood (from left) Mayor Brian Sager listen as Fire/Rescue District Chief Michael Hill reads a statement before the Illinois Health Facilities and Services Review Board members Tuesday, Nov.14 in Bolingbrook. The review board approved the changes involving the Woodstock and Huntley facilities. proposed changes affecting its Woodstock hospital.